Having the right network at your fingers is a key to your heavy duty truck parts shopping online. The Automotix Truck Parts Network is the largest network of suppliers in the entire country and we have locations in Florida, California, Texas, Ohio, Illinois and other east and west cost warehouses. Our commercial truck parts inventory includes Air cleaner, Axle housing, Rear Axle, Battery box, Bodies, Bumper, Cab, Sleeper, Differential, Door, ECM, Diesel Engine, Fender, Fuel tank, Grill, Hood, Hub, Seat, Steering axle, Steering gear box, Tandem, Tires, Tool box, Transfer case, Transmission, and many other diesel parts. No matter where you live, even if it's in another country, if you need parts we can get them to you. We specialize in used commercial trucks and commercial trucks parts, diesel engines, truck transmissions, truck axles, truck fuel tanks, and more. We make international shopping for parts for your medium or heavy duty truck safe and easy as well as fast and cheap. When we say we have the parts you need virtually at your fingertips we mean exactly that. We have a huge inventory catalog online and it's so easy that it allows you to search by: Part Type, Manufacturer, Model, Body Style, Horse Power, Miles, Dimensions and so much more. If you can't find the part you're looking for online, simply fill out our locating form and we will locate one for you. Truck parts don't get more affordable than here on our website. We offer a low-price guarantee on all of the truck parts we offer. If you were to find the same OEM quality, warranty, condition and shipping cheaper than us, we will match the offer--but we are confident that you won't. There is a reason we get customers coming back to us year after year. Our service will allow you to save up to 80% on medium and heavy truck parts! Just imagine 80%! When you are buying parts for your truck you want to have the best warranty in the industry on your side and that is exactly what you get when you shop with us. You get up to 100 days on any diesel parts, diesel engine, transmission, axle, differential and any other engine parts we carry. We Ship Worldwide (US & Internationally)! Since our locations are nationwide and based all over the country, we can offer discounted shipping within the continental 48 U.S. States and many international destinations. Automotix does not markup any shipping costs or charges handling fees. We ship worldwide major truck parts and assemblies including Caterpillar engines, Cummins engines, Allison transmissions, GMC axles & differentials, Mack truck engine parts and even complete salvage truck. Import and export buyers, call us for more information. Buy Rebuilt & Used Truck Diesel Parts - Go Green! Why buy a brand new diesel engine or part when you can choose a rebuilt one? A dusted engine doesn't have to mean the end of it's life, all it needs is a makeover and a little TLC. Automotix can take an engine that is leaking oil due to dust in the combustion chamber and make it like new again, all while saving you and the environment at the same time. Locate Commercial Truck Parts Here! We want your experience to be easy and successful the first time around that is how we keep our customers coming back to us time and time again. We're not happy until you are and we guarantee it. If you do need to ever put in a warranty claim you can feel secure knowing that we will exchange the damaged part or fully refund you the money you put out. We stand behind the quality of our products! 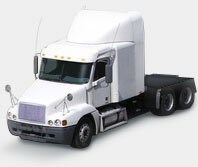 Used truck parts online buying has just become easier and safer. At Automotix.net simply use our drop down menus to select your part category, manufacturer and model of your automobile. There is no easier way to find the parts that you want than with Automotix.net. Not only is the searching fast and effortless so is the rest, with fast shipping and low price guarantee your search is over and the fun can begin. You will not only find the best deal but also have it at your doorstep in record time. Buy online and save up to 80%. We accept Visa, MasterCard and Discover.